Tamizamos la fécula de maíz con la harina y el polvo de hornear. Incorporamos a la preparación anterior las harinas mezclando hasta integrar, no hay necesidad de amasar. Colocamos en papel film y llevamos a la heladera al menos por una hora. Retiramos, dejamos entibiar unos minutos si hace falta y estiramos con el palo de amasar hasta un grosor de 3-4 cms. Con un molde cortante damos forma; recuperamos los restos y volvemos a estirar. Colocamos en una asadera enmantecada o, preferentemente, sobre una plancha de silicona y horneamos por 10´ a 170*. Retiramos, dejamos enfriar y esperamos unas horas antes de rellenarlos con el dulce de leche repostero; mejor aún hasta el día siguiente. 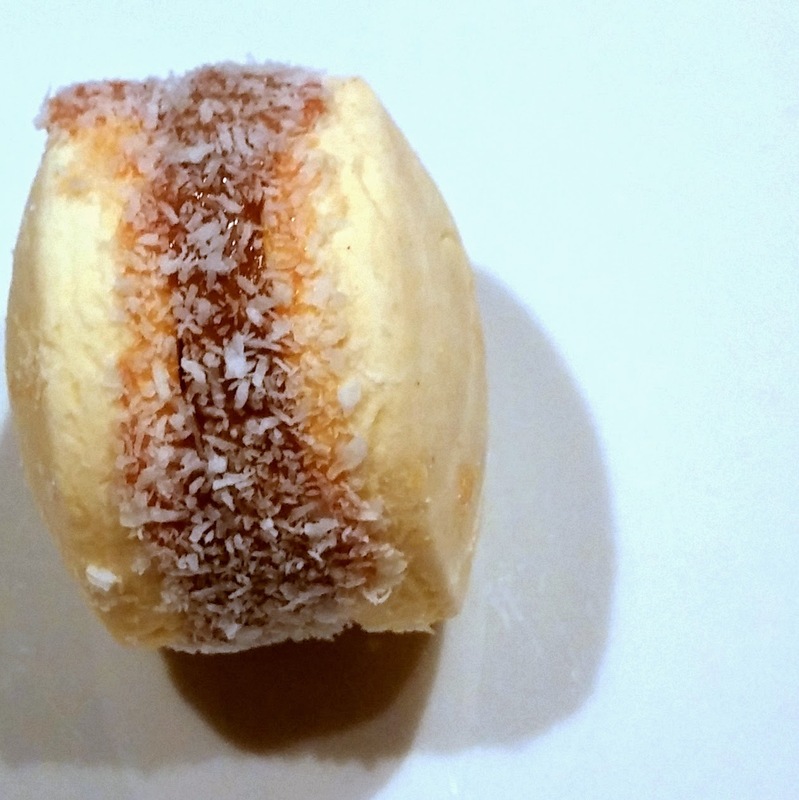 Rellenamos generosamente con dulce de leche y pasamos todo el contorno por coco rallado. Thank you Saul! I can't say enough how great of a time we had with you. Talia and I will definitely call you for another fun night of cooking when we come back to buenos aires. Until then, ciao and take care. We wish you all the best. My girlfriend and I had one of the most memorable nights of our trip with Saul. Before we even met him, he was going out of his way to help us, offering us advice about Buenos Aires and Argentina. As well, he was very accommodating...we told him what we wanted to learn to cook and he prepared a recipe for something he had never taught before (which came out delicious of course). I told Saul that we were very interested in going to see a tango show or take a tango lesson. Saul went out of his way to set up a private lesson for us with a teacher at his home before the cooking class. The tango lesson was so much fun, and the teacher invited us to a milonga the next night! After dancing tango for an hour or so, my girlfriend and I had worked up an appetite so we sat down for some mate and alfajores that we would be learning to make. We got better acquainted with our host and then began to cook. Saul really wants his students to understand the technique that goes into making a successful dish, and spends time to make sure you take those lessons with you after you leave his class. We learned how to make empandas and alfajores...all came out delicious. 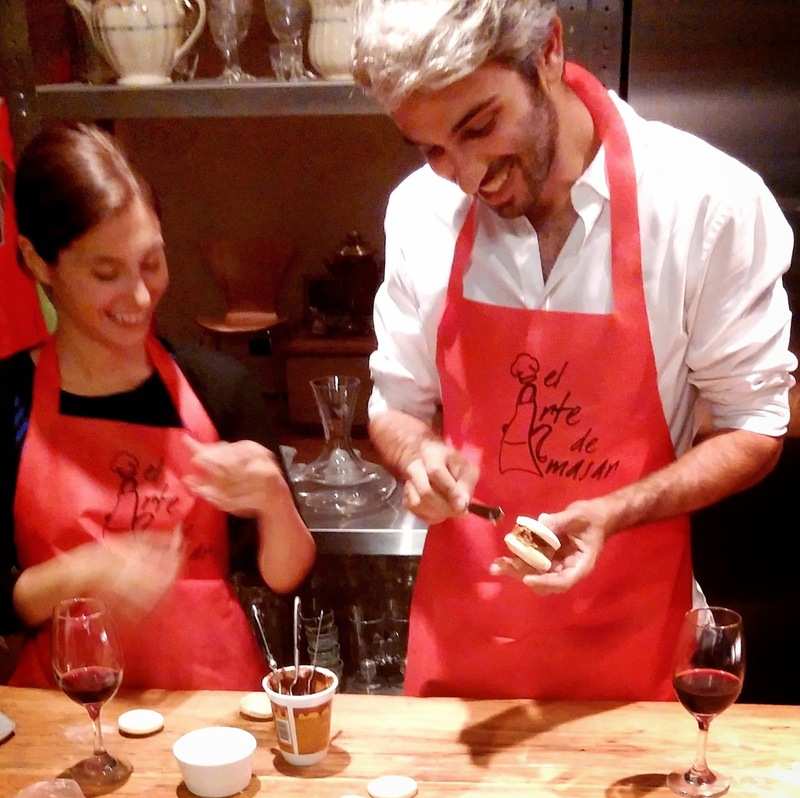 It was a great hands-on experience, with plenty of time to practice making the food, as well as drink wine and enjoy munching on our creations afterwards. Since Saul's class I have a new appreciation for Argentinian cuisine and I will definitely call him for another when I visit Buenos Aires next time. Saul is such a warm person and he offers a very unique cooking session.